At about the same time of Christopher Columbus crossing the Atlantic to America (he was looking for an alternate trade route to the East Indies,) exciting stuff was happening here in the Hawaiian Islands. Then, in the time of Columbus, the new Aliʻi-ai-moku were: Māʻilikūkahi on Oʻahu, Piʻilani on Maui, ʻUmi-a-Līloa on Hawaiʻi and Kukona on Kauaʻi. ʻUmi-a-Līloa (ʻUmi) from Waipiʻo, son of Līloa, defeated Kona chief Ehunuikaimalino and united the island of Hawai‘i. He then moved his Royal Center from Waipi‘o to Kona. The Kona Field System was planted in long, narrow fields that ran across the contours, along the slopes of Mauna Loa and Hualālai. As rainfall increases rapidly as you go up the side of Hualālai, the long fields allowed farmers to plant different crops according to the rainfall gradients. In lower elevations all the way to the shore, informal clearings, mounds and terraces were used to plant sweet potatoes; and on the forest fringe above the walled fields there were clearings, mounds and terraces which were primarily planted in bananas. In the lower reaches of the tillable land, at elevations about 500-feet to 1,000-feet above sea level, a grove of breadfruit half mile wide and 20 miles long grew. Sweet potatoes grew among the breadfruit. Above the breadfruit grove, at elevations where the rainfall reached 60-70 inches or more, were fields of dry land taro. The field system was not the only contribution of ʻUmi. The history of data processing in Hawaii covers almost five centuries, from the legendary census of King ʻUmi (c. 1500) to the present time. No statistical record of pre-contact population still exists, unless you look at the legendary census of ʻUmi. ʻUmi’s census, taken at the beginning of the 16th century, was an early example of data processing. 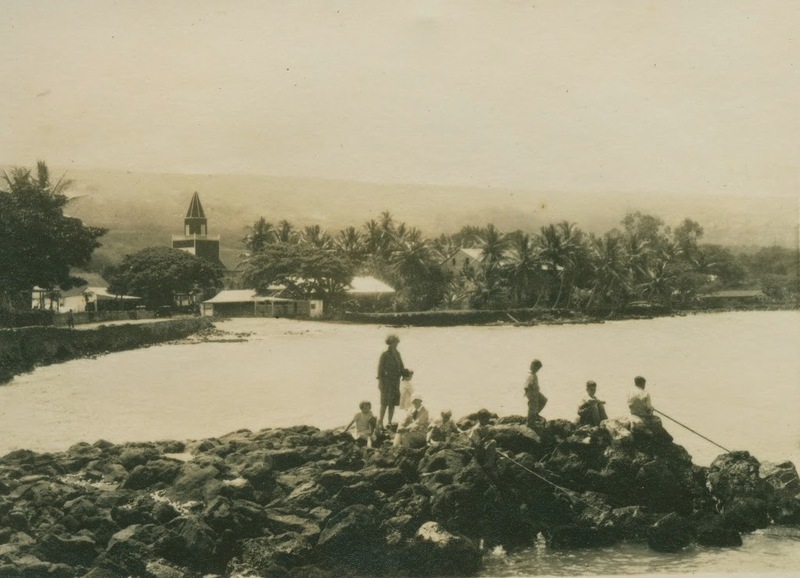 For this census, each inhabitant of the Island of Hawaiʻi was instructed to come to a place called the “Plain of Numbering” to put a rock on the pile representing his own district. The result, still visible today, was a three-dimensional graphic portrayal of population size and distribution. 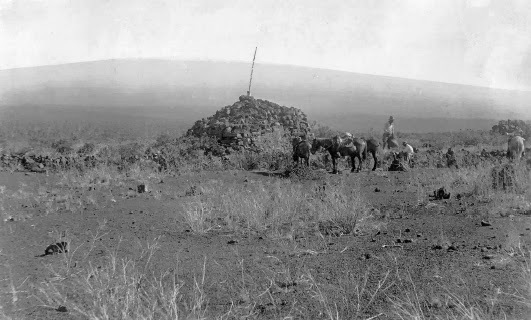 The image shows Ahu a ʻUmi in 1890. In addition, I have added other related images in a folder of like name in the Photos section on my Facebook and Google+ pages.